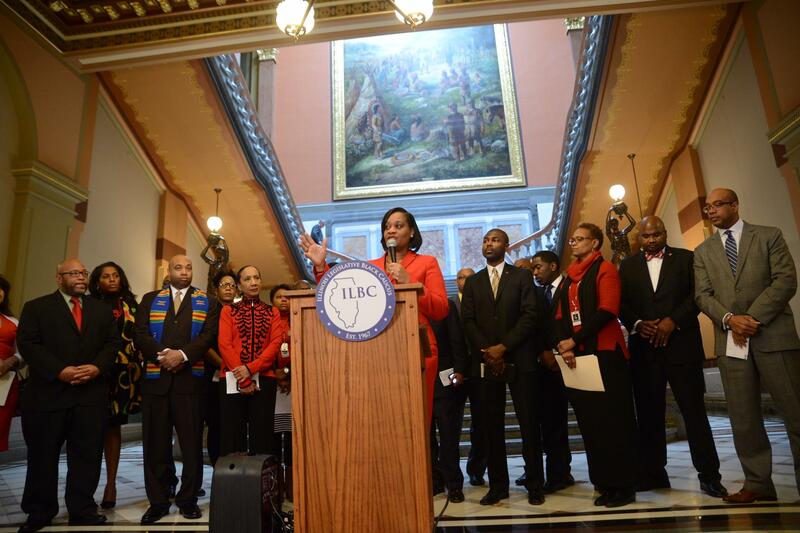 State Sen. Kimberly Lightford, a Maywood Democrat, speaks at an Illinois Legislative Black Caucus press conference. The Chicago-based child advocacy group Voices for Illinois Children wants Illinois lawmakers to consider how their policies might worsen racial and ethnic disparities. According to a spokeswoman, state Sen. Kimberly Lightford, a Maywood Democrat, is expected to introduce a measure that would create a “racial impact note” – where a lawmaker could ask for additional information tacked onto a bill that would estimate the impact on minorities. They would be similar to fiscal notes that detail how a policy would affect the state’s finances. Tasha Green Cruzat - Voices for Illinois Children President – says the law is needed to help correct years of unjust Illinois policies such as inequitable school funding and disparities in academic opportunities. The Illinois House approved similar legislation last session with no opposition, but it never got a vote in the Senate. If approved, Green Cruzat said, such a law would be the first of its kind in the nation.